Whether you’re taken, single, or just in a serious relationship with pizza, Valentine’s Day is the perfect excuse to not stick to whatever you’re giving up for Lent and indulge just a little more. Is there anything better than staying in, binge watching a Netflix Original Series while you devour a cheesy pizza slice (or ten)? I think not. #BabesTip: Order an Aphrodisiac pizza from Magazine Pizza, with extra ranch. Single or not, Valentine’s Day = chocolate. Head over to Sucré for some of the best chocolate desserts, gelatos, truffles, cookies, etc. 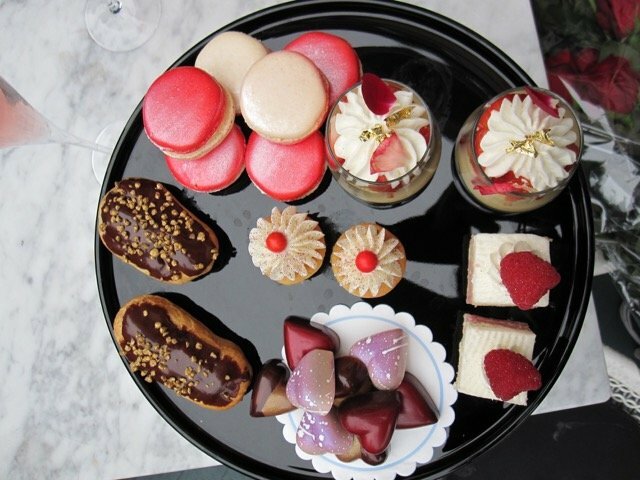 Be #extra and take your date to Salon By Sucré for dessert and cocktails. We recently discovered that Cellar Door does 30% off wine bottles every Wednesday. Plus, their happy hour is from 4-7PM. It’s the perfect spot for a romantic date with your boo, or to get the boy-hating night started with your gals. Feeling extra romantic? Gabrielle Cavassa is a young jazz vocalist, she’ll be at Three Keys for the first time with Jonathan Bauer singing love songs. Can’t beat a night of great music and craft cocktails! If going out to a fancy restaurant isn’t in the cards, why not make a fancy meal at home? Pick an easy pasta recipe, grab a bottle of wine or two and bake this for dessert. BAM! You’ve got a wonderful Valentine’s Day date. Beignets are perfect for every occasion, duh!